Pipe School presents this lesson in understanding wooden pipes. In this article, we explain what they are made of and how to maintain them. There are a lot of great New York City smoke shops that cater to traditional wooden smoking pipes. The bowls of wooden smoking pipes are commonly made of briar, corncob, meerschaum, and clay. Less common are cherry wood, olive wood, maple, mesquite, and oak. Generally a dense-grained wood is ideal. Minerals such as calamite and soapstone have also been used. Pipe bowls are frequently carved with a great deal of artistry. 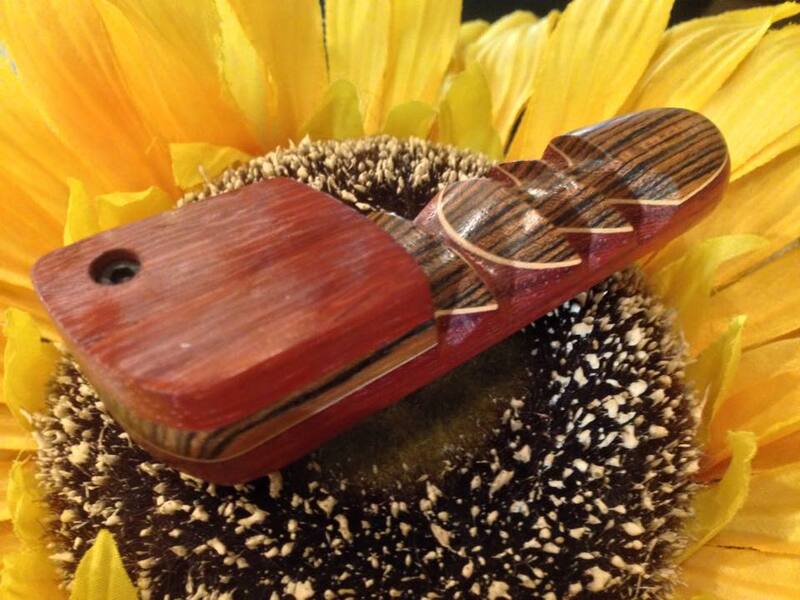 The native pipes frequently come with an additional piece attached to the bowl of the smoking pipe, a snuff cover. This cover allows the user to not only travel with a packed pipe but snuff out their tobacco by simply covering the bowl. Some snuff covers also have a light hole in which the tobacco user can smoke through making windy days or an occasional puff simple. With care, a wooden pipe can last a very long time without burning out. However, due to aggressive (hot) smoking, imperfections in the wood, or bad luck, a hole can be burned in the tobacco chamber of the pipe. Understanding Wooden Pipes Tip #1: It is important to build up a “cake” on the walls of the bowl to insulate the wood and thereby prevent burnout. This “cake” is a mixture of ash, unburned tobacco, oils, sugars, and other residue. While a cake may build without any intention to do so, a common practice is to encourage a cake to build quickly when the pipe is new. Understanding Wooden Pipes Tip #2: Alternate a half-bowl and a full-bowl for the first several times a pipe is used in order to “cake” your wooden pipe. Prior to this, a paste or liquid may be applied to the inside of the bowl. The ingredients usually consist of one or more of the following: water, honey, sour cream, buttermilk, powdered sugar, activated charcoal, and cigar ash. The resultant product is spread around the inside of the bowl and allowed to dry. Many modern briar pipes come pre-treated but native pipes will most likely not be. Understanding Wooden Pipes Tip #3: Ash and unburned tobacco need to be cleaned out with a pipe cleaner. Run the pipe cleaner through the airway of the stem and shank to remove any moisture, ash, and other residue before setting it aside to cool and dry. A cake of ash eventually develops inside the bowl. This is generally considered desirable for controlling overall heat. However, if it becomes too thick, it may expand faster than the bowl of the pipe itself when heated, cracking the bowl. Before reaching this point, it needs to be scraped down with a reamer. It is generally recommended to keep the cake at approximately the thickness of an American dime (about 1/20th of an inch or 1.5 mm), though sometimes the cake is removed entirely as part of efforts to eliminate off flavors or aromas. For more helpful tips, visit Pipedia.org.